The problem occurred in the checkout screen. As usual, WooCommerce requests the customer fill out billing information, but before it can all be entered, the Stripe payment popup appears. Of course, when you try to fill it out, the process breaks because the billing information is incomplete. When you try to go back and fill the incomplete information, the popup interrupts the process and does not allow the user to finish entering the information. Endless cycle begins. Although, the updates seemed to have had an effect on the time allowed to enter the billing information, it was still not possible to complete the process, so the cart was still broken. 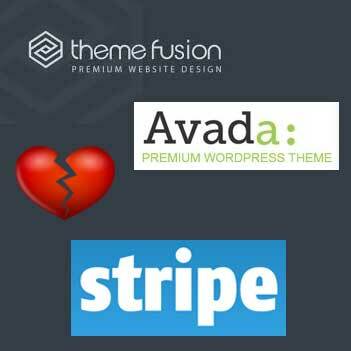 Our next step was to change the theme to 2014 to make sure it was a theme related issues not WooCommerce. When using 2014, it worked fine, WooCommerce and WooThemes were off the hook. Well this one doesn’t have a happy ending…yet. If you have similar issues feel free to provide details in the comments section and we will definitely keep you updated of any developments. Looks like the the support guys put some effort into updating the WooCommerce Extension to fix the problem. The Stripe WooCommerce Extension has been updated to version 2.1.0 which should alleviate all known issues. We’ll keep you posted if we run into any other problems.